Rik's Ramblings: This Years Big Christmas Blockbuster - MineCraft Lego!? 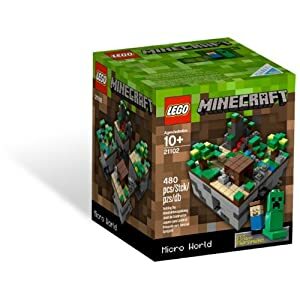 This Years Big Christmas Blockbuster - MineCraft Lego!? Wow, I was shocked to see this selling at $100 a week ago, but now it's up to $115. Buy it now before the price gets ridiculous. In the run-up to Christmas this topped out somewhere around $150. I'm happy to see that today it is back down near $50. God, you have to love capitalist greed at work, and it's subtle interplay with stupidity and guilt.